The species seems to occur sparsely annually, mainly in the summer months of June, July and August. Most registrations are from the drift ice north and east of the archipelago in August. Some years occuring in larger numbers in these areas, mainly adult individuals. 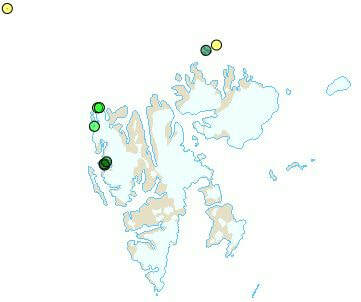 Seen rarely by land, but there are a few registrations in the breeding season in the western part of Spitsbergen. 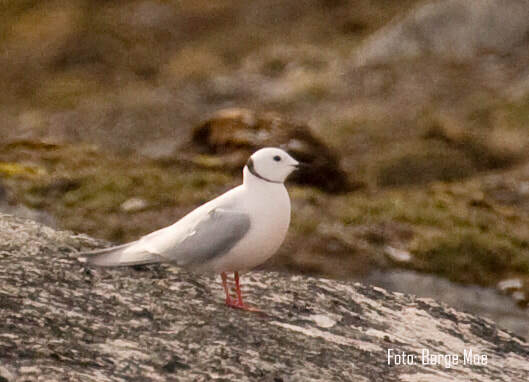 ​Breeding has been recorded once at Kapp Linné in 1955 (Løvenskiold 1964).